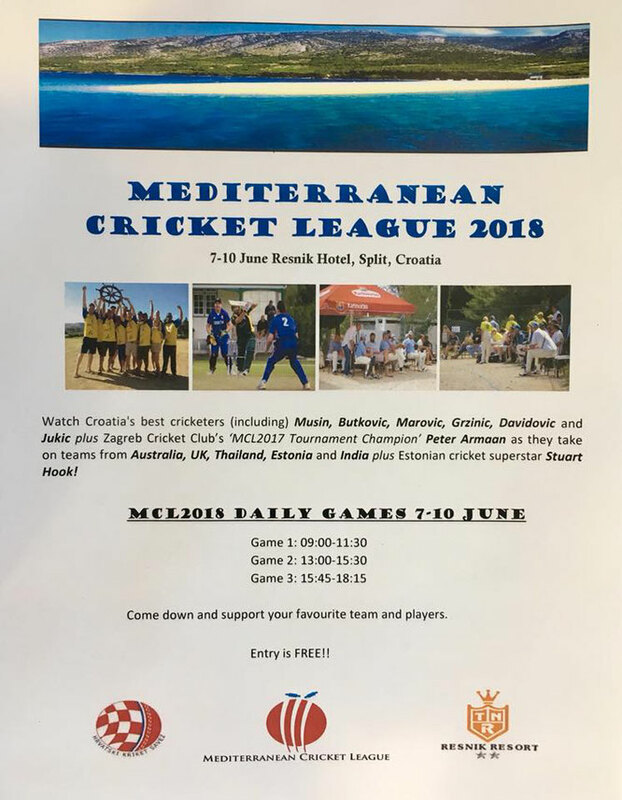 The Croatian Cricket Federation (CCF) in association with Sir Oliver Cricket Club Split (SOCCS) invite you to enter a team to participate in the Mediterranean Cricket League (MCL) to be held in Split, Croatia, 7-10 June 2018. After the success of the 2016 & 2017 editions, preparations are already underway for 2018. 4 high class international standard T20 games over 4 days (includes a 'finals day') at the newly redeveloped Resnik Kriket Ground (RKG) which is located on the beautiful Adriatic Sea. MCL is a family friendly tournament so wives, partners, girlfriends, children, family, friends and spectators are encouraged to attend this fantastic 4 day event and enjoy all the hotel package benefits. Cost per NON-PLAYING guest is €160 for 4 days (twin share). Additional days welcomed for players/guests @ €40 (twin share) per person per night or 45€ for single rooms. 14 person team total cost of €3,360 (240€ per player). This is an all-inclusive price, so all you have to do is get your team together and come and play! To confirm team participation an up-front deposit of €1,000* is levied. Team participation will be allocated on a first paid, first play basis so get your €1,000 confirmation payment in as soon as possible. *This payment is NON-REFUNDABLE as team shirts and caps will be ordered upon receipt. The remainder is required three months before the tournament. 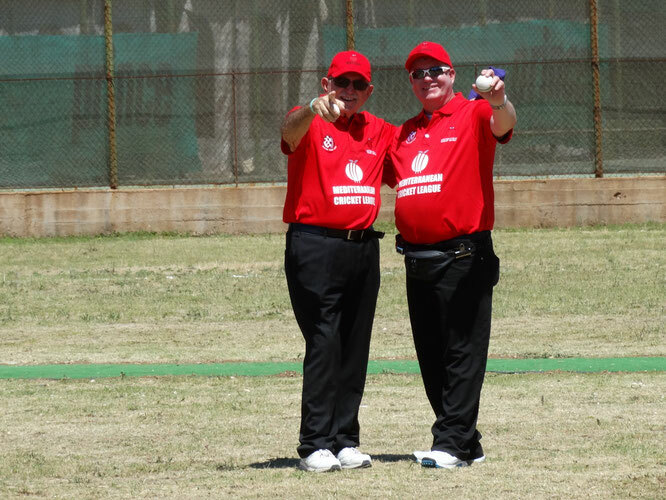 More information on the MCL is available by following Croatian Cricket on Facebook or Twitter. 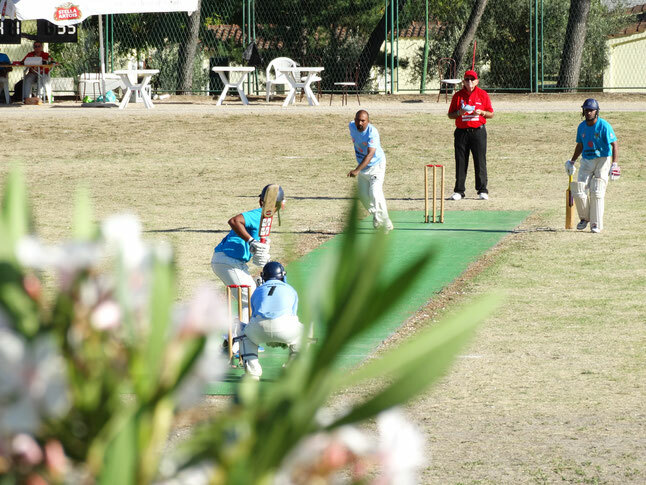 Alternatively, contact the MCL tournament organiser, Jeff Grzinic of the Sir Oliver Cricket Club Split (Antuna Mihanovića 44c, 21000 Split, Croatia).